While in LA for the TCM Movie Festival (a bucket list journey I have yet to document), my mom and I stopped at an In-N-Out Burger. I had a bite of their burger a few years ago, but 1. it was just a bite and 2. it wasn’t Animal Style, from their not-so-secret menu. 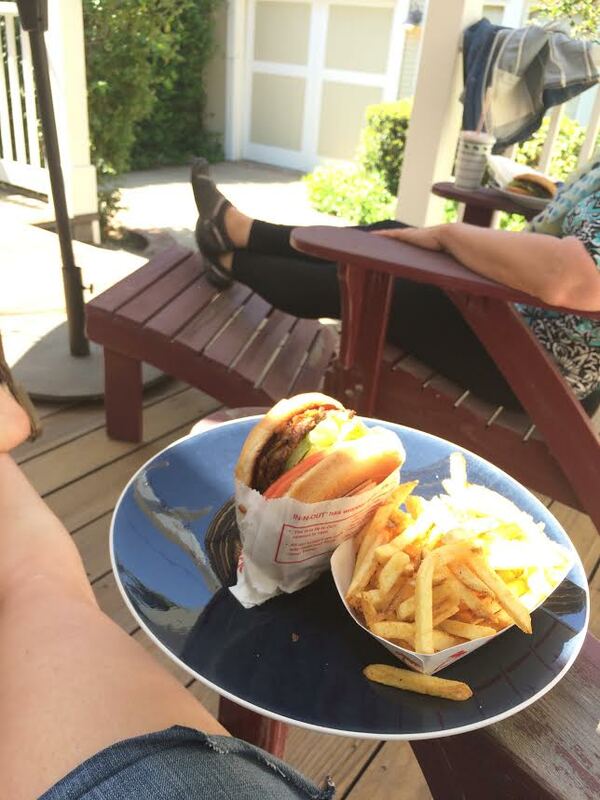 Here we are sprawled out on my cousin’s deck enjoying the shade, as well as extra onions and sauce on our burgers. Completed: Eat a New Type of Food Every Month for March.